I’ve heard many people say that travelling is the best way to learn a language. This is true, but only to a certain extent. In essence, travelling is excellent to help you convert theory into practice, to use what you’ve learnt in real situations. However, learning new things while travelling is in many ways inferior to learning them at home or in a classroom. I think travelling is useful, but I think it’s overrated as a tool to learn Chinese. Mastering a language is largely about learning new words and how they combine to form meaning, and travelling is simply a bad environment for learning lots of words (see my article on the importance of having a large vocabulary). For that to be effective, you need lots of study time, access to the internet and preferably a suitable study environment.. Even though I opened with a somewhat negative tone, I think there are some true advantages with travelling, things that can be reproduced in other ways, but comes together beautifully when travelling. This is perhaps the most important advantage. Regardless of much time you send studying at home, you really need to use the language in real situations if you want to reach any speaking level beyond the basic. In the beginning, it takes time to find the right words, you need to think before finding out the correct word order. 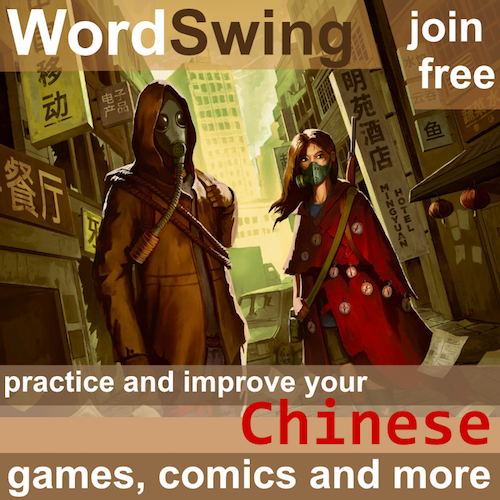 With practice, this becomes easier (you can practice this at home, too, check this word game to increase fluency). Travelling is good because it forces you to practise a lot, especially if English can’t be used in the area you’re travelling in. A classroom is a fixed position with very clearly defined roles. Real life is not. Travelling means that you will encounter lots of different people in different situations. 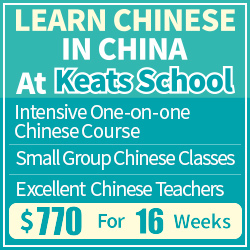 You will hear different kinds of Chinese and you will use the language yourself. Dictionaries can tell you what a word means, but they won’t explain when they are used. Just because you know that 主义 (主義) means “idea”, that doesn’t mean that you can use that word any time you would use “idea” in English. Travelling forces you into many different kinds of situations which will enable you to hear more Chinese and adjust your mental models of the language. Although this can be achieved if you live abroad and simply pay attention, travelling is also an excellent way of improving listening ability. You will move through different regions, perhaps with different accents. Hearing these helps you get used to them and to understand them. Additionally, when you check a train connection or book a room somewhere, you really need to hear what other people are saying. Nodding and smiling works when you’re close to home and you know what you’re doing, but when travelling, many encounters become listening comprehension tests. 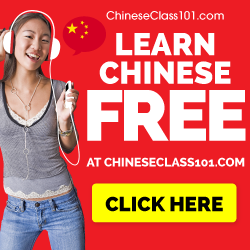 Perhaps you won’t spend more time speaking Chinese when travelling as compared with living in a Chinese-speaking environment, but you’re guaranteed to speak with more different kinds of people. Forget your classmates and your close friends! To understand people, their customs, manners and culture, you need to experience them first hand. These are perhaps not included in pure language ability, but it’s still essential if you have any ambitions of really understanding Chinese. Every time I’ve left the safety of home to go travelling, I’ve felt my self-confidence rising. I notice that I know lots more than last time and that things generally flow much more smoothly. At least in Taiwan, most natives are very encouraging, which means that they will praise your Chinese to the hills even if you can only say 你好. Also, they ask you the same kind of questions, so after a while you get really good at explaining who you are, why you are studying Chinese and so on. That feels good! Be careful, though, because this praise is excellent to boost self-confidence, but it’s a bad way to assess your language level. Travel alone – The advantages are obvious, you really have to do everything on our own and you will learn accordingly. The downside is that it’s quite tough sometimes and not everybody is suited to travelling alone. 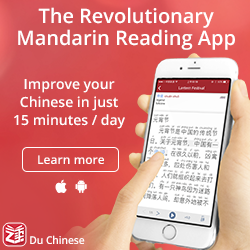 Travel with non-Chinese speakers – This is also excellent. Having your parents with you or some visiting friends, not only do you have to take care of most conversations with natives, but you will also have to translate a lot. Travel with Chinese speaking friends – This depends entirely on what kind of friends you have, but if you’re lucky, you will get to see many things you would never have seen otherwise. Native speakers may also function as guides, both to language and culture. By way of conclusion, I’d like to say that yes, travelling is a powerful tool to learn a language. However, it’s useful in a way most people don’t realise. You won’t learn a language very quickly if you just travel around randomly, but by doing so, you will enhance what you already know and convert theoretical knowledge into practical skill. When I was struggling to learn Chinese in Paris, how many times did I hear people say ‘Why don’t you go to China?’ with a patronizing tone, implying that if I lived in China all my efforts would be avoided. And maybe I would learn the Chinese characters simply by walking in the streets of Chinese cities ! You won’t learn Chinese simply by living abroad. Ha, if I could learn Chinese characters just by walking down the street in a Chinese-speaking area, I would have learned Chinese characters a long, long time ago (I grew up in a neighborhood with many Chinese-Americans and with many signs in Chinese). I found Taiwanese in Taiwan (in Taiwan) and Chinese in China (over the internet) more open to friendship than Chinese in the United States. I think language is more about the closeness of the relationship than any particular location. In my experience learning and teaching languages, learning new things and consolidating the known are two different activities, but you need to do both to go towards fluency. I suppose there may be optimal arrangements to progress more quickly and with less perceived effort – but I’m not too sure what they are. Have you written anything specifically on this topic (consolidating what you know, and the best time to do it), or do you know anyone who has – I’d love to look into it more in depth :-).